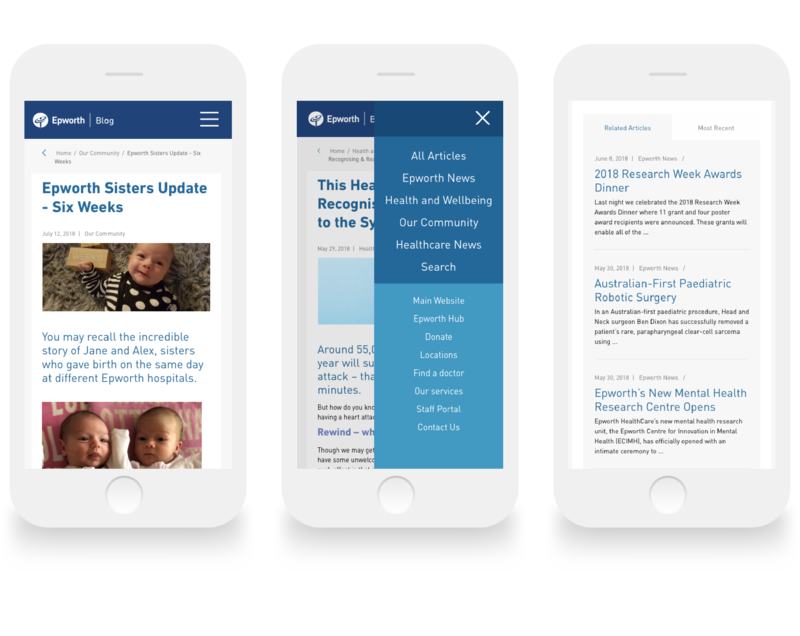 We designed and developed a blog for Epworth Hospital based on the Squarespace Platform. 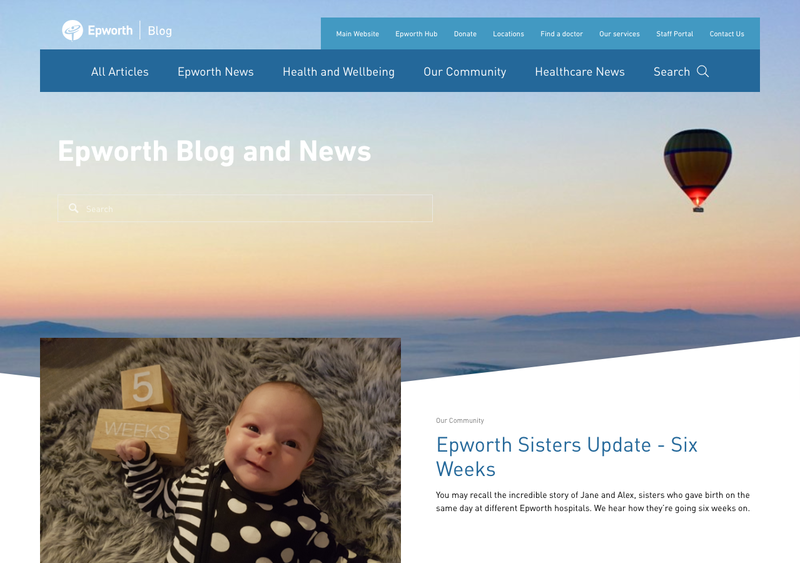 Having already populated and deployed the blog, Epworth were looking to better align the website with their brand and categorise content around content "pillars". DCODE GROUP designed and developed a custom Squarespace theme that enabled Epworth to make use of Squarespaces' offerings albeit better aligned to their brand. "We’re looking to combine our blogs, expand our content pillars and deliver a consistent experience"
DCODE GROUP were presented with an existing website, branding concepts and a new idea on how to structure the content to be interesting and informative to the Epworth audience. The aim was to leverage what had already been achieved through the blog, but polish the results. 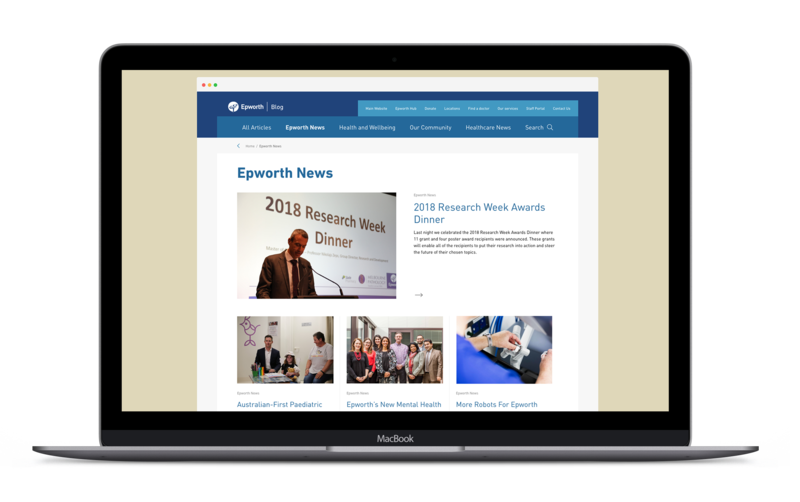 Working we our design team, we presented a new concept for the website that combined Epworth's ideas with their new branding vision. We then used the Squarespace Developer Mode to code a template to the specifications of this design. The blog was adjusted to better accomodate categories that allowed us to filter and sort content by the pillars required by Epworth. And best of all - we did everything without the client having to re-enter/transpose content to a new platform/account! We let the Epworth content team manage content they way they knew how; with a fresh theme to help them present alongside the Epworth brand. Handover was minimal and down-time was negligible - with development of the theme working alongside the live site and then transferred seamlessly to the existing content. We used the developer mode on Squarespace to develop a new theme for Epworth.